One of the best places to have a festival in the summer is Iceland. Imagine twenty four hour sunlight, geothermal baths, waterfalls, breathtaking glaciers and black sand beaches, all in one place! No wonder more and more people (including me), are heading to this unusual island to dance under the midnight sun. Only in it’s fourth year, I can guarantee you that Secret Solstice already rivals some of the best festivals in the world in terms of lineup and location. This year is no different. Some of my favourite DJs are playing, from Kerri Chandler to The Black Madonna, Soul Clap to Seth Troxler. I’m thrilled to get to see Chaka Khan play again, and looking forward to seeing The Foo Fighters and The Prodigy for the first time (I know…). There’s a big list of top Icelandic DJs and producers too. Personal favourites are groove specialists DJ Kári and Ben Söl, and dark proteinated techno man Exos. We’ve also got lots of hip hop, Icelanders love their hip hop, seriously. In fact I can say one of the best hip hop parties I’ve been to was in Reykjavik the first time I visited the country (shout out to DJ Kocoon!). And I’m pleased to announce I’ll also be providing bubbly bits from my record bag. So here’s a little playlist I’ve put together of some of my favourites on the lineup this year. See you on the dancefloor. 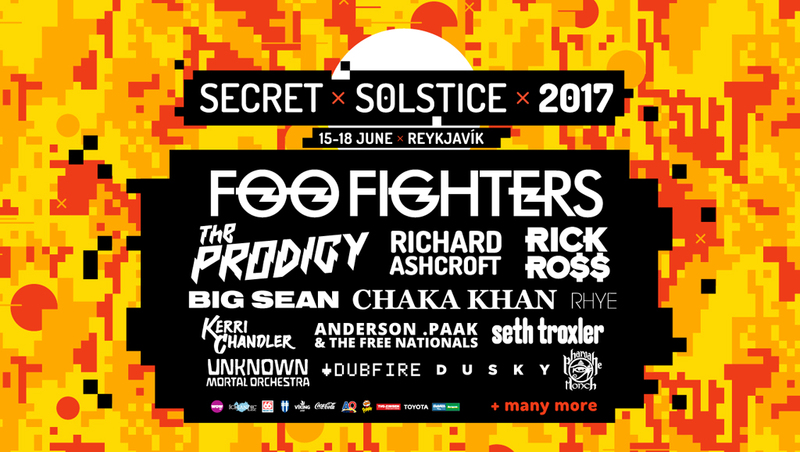 Secret Solstice 2016 – Official AftermovieExperience 72hrs of never-ending daylight in ICELAND… the official Secret Solstice Festival 2016 aftermovie is here! Final 2017 discounted tickets are on sale now – we’ll see you in the Midnight Sun between the 16th-18th of June 2017! 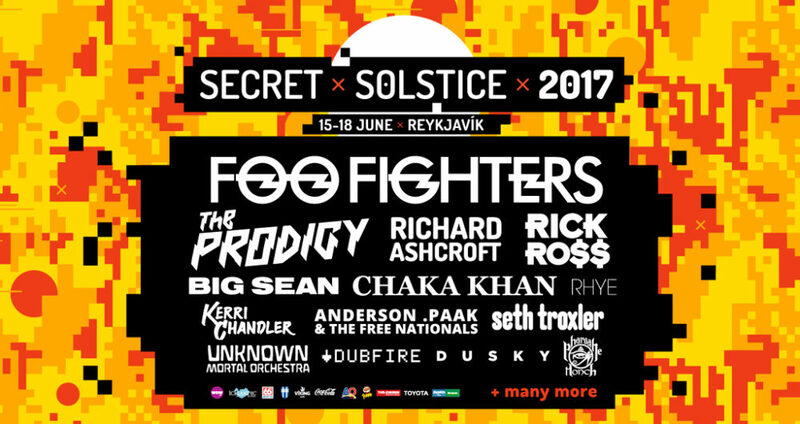 Secret Solstice festival takes place in Reykjavik from 15th to 18th June. Few tickets left here.